Reston, VA – April 9, 2012 – (RealEstateRama) — Calkain Companies, a national commercial real estate investment brokerage firm facilitated a sale leaseback transaction of Firehouse Subs in Pinellas Park, FL in the Tampa/Clearwater MSA. The purchaser was a private South Florida investor seeking a passive, incoming-producing asset to complete a 1031 exchange. Calkain Associate Teal Henderson represented the seller, a local business group involved in Firehouse Subs franchising and national hoteliers. This 2020+/- sf asset is located in a major retail corridor which was previously owned and operated by a multi-unit Firehouse Subs franchisee. 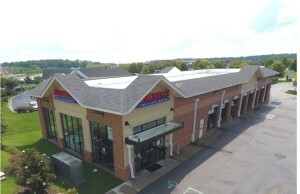 The intrinsic real estate strength, along with higher than average unit store sales and a new favorable triple net, 10 year lease with annual increases and multiple options, made this asset an attractive investment for the buyer. This sale-leaseback illustrates the win-win scenario for the business owner seeking to release capital and investors seeking stable and passive triple net investment opportunities. Calkain Companies is a boutique commercial real estate brokerage firm which specializes in assisting buyers and sellers with single and multi-tenant retail, industrial, hotel and office net-leased transactions. While licensed to conduct business in many states, nationally, Calkain has multiple office locations throughout the Mid-Atlantic, Southeast and Northeast United States. Additional information about the firm and listings may be found at www.calkain.com.